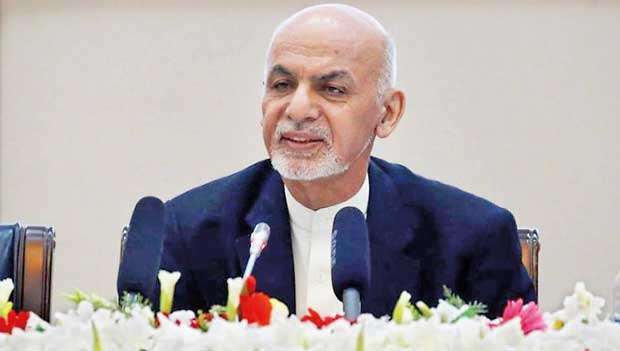 Afghan President Ashraf Ghani has announced a week-long ceasefire with the Taliban to coincide with the holiday marking the end of Ramadan. Afghanistan today said it was pausing its fight against the Taliban for Eid, the holiday that caps off Ramadan, but operations against other groups including al-Qaeda and Islamic State will continue. The ceasefire will last ‘from the 27th of Ramadan until the fifth day of Eid-al-Fitr,’ President Ashraf Ghani tweeted from an official account, indicating it could run from June 12-19 on the Western calendar. It was not immediately clear if the Taliban had agreed to the ceasefire, which would be the first for Eid since the US invasion in 2001. ‘We are checking with our officials regarding the ceasefire announcement,’ Taliban spokesman Zabihullah Mujahid told AFP. The Taliban have steadily expanded their presence in recent years, capturing a number of districts across the country and carrying out near-daily attacks, mainly targeting Afghan security forces. The surprise move comes days after a gathering of Afghanistan’s top clerics in the capital Kabul called for a ceasefire and issued a fatwa against suicide bombings and attacks. The Taliban had denounced the gathering, insisting that its jihad, or holy war, against foreign invaders was justified. It instead urged the clerics to side with it against the ‘occupation’.